The Melancholy of Suzumiya Haruhi: SOS!! Minitokyo »	The Melancholy of Suzumiya Haruhi Scans » The Melancholy of Suzumiya Haruhi: SOS!! Yay! 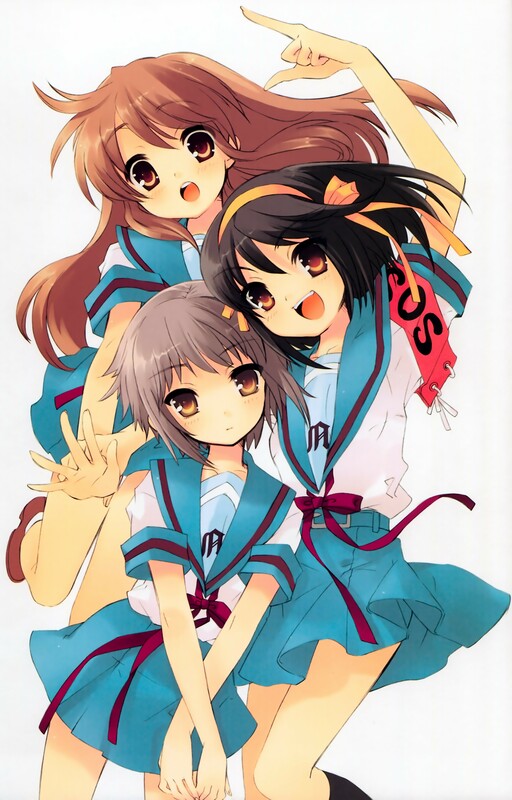 Haruhi and the girls rules! great scan of the SOS girls! thanks! SOS Brigade girls are very cute and beautiful! Such cute illust. I love this one. This was on the cover of a magazine for a long time. Nice to see it with a white background. Love this anime! really very good! Soo Cuuute ! Suzumiya Haruhi No Yuutsu ForEvaah !